This is the era of superheroes when it comes to the film industry and slot games. How about combining online slots with superheroes? Many online casino games are based on superhero movies and we have decided to talk about 5 of them. Christopher Nolan’s Dark Knight Movies became popular in the 2000s and inspired the development of Microgaming’s Dark Knight Rises slot. 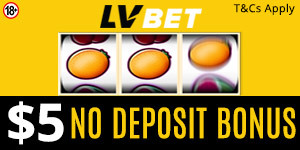 The slot features 243 paylines, Split Wilds, bonus games, and Free Spins no deposit. During the Fight Mode, Bane and Batman fight to give you multipliers and Free Spins. Bane activates the Rolling Reels while Batman activates the Extra Wild Blast feature and Heat Seeking Wilds to boost your winnings. You definitely want to call Superman when Metropolis is in trouble. Amaya’s superman slot is based on a popular comic book character and comes with exciting features like Morphing Wilds, Lex Luthor Frozen Wilds, and Lois Lane Wild Hearts. The slot’s Morphing Wilds change to Supes to increase your odds. Players can also enjoy Free Spins no deposit no wager and multipliers. Fantastic Four is a fascinating progressive online slot from Playtech. The Thing, Mr. Fantastic, Human Torch, and Invisible Woman represent the four characters. Other incredible features include an Expanding Wild, an increasing multiplier, a progressive jackpot, and ubiquitous symbols to boost your winning chances. Join the powerful superheroes and you could scoop a jackpot. Hellboy is a superhero-themed casino game by Microgaming. Most people know the red-skinned movie and comic book character named Hellboy. If you don’t know this guy, he is a demon with supernatural powers from Hell. The slot game features 20 paylines and a bonus round. The Super Mode awards you ten Free Spins and increases your winning chances with three sticky wilds. This Cryptologic slot game features Diana Prince who has inspired many women and girls across the globe. Play it and try some amazing features including Free Spins and free games. When the Ares Showdown feature is activated, Wonder Woman hits Ares three times and multiplies your bet by 100. We wish you all the best in your attempt to beat Ares.